On 7 March, 11 mine workers were killed in an explosion caused by accumulation of gas in a Coal mine, situated in the outskirts of Quetta , Pakistan, which was run by Pakistan Mineral Development Corporation (PMDC). All the dead workers were belonging to Shangla, an adjacent district to Swat Valley. According to a local in Shangla, the atmosphere was saddened when the corpses of 11 mine workers reached for burial at the Mian Kilay, a remote village of Shangla, of which the majority of the inhabitants are working in the mining sector in Balochistan, NWFP and Sindh. Two months ago also, an explosion at a coalmine in Mach area had killed eight miners, and the rescuers took a month to recover the bodies. 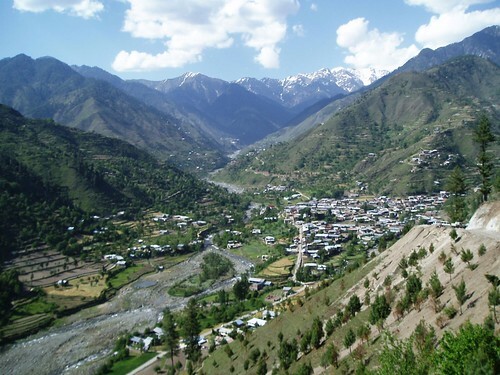 District Shangla is one amongst the five districts in the country which has the lowest Human Development Index (HDI) along with Kohistan, Dera Bugti, Tharparkar and Jhal Magsi districts. Also Shangla is the most backward district of the NWFP Province. Because of immense poverty, unemployment, lacking of income resources, high rate of population growth and illiteracy, the Shangla people are compelled to work in the mining industry with dangerous working environment and occupational health hazards to earn the livelihood of their family. Scarcity of development funds allocated to the provincial government and decreasing number and size of public sector projects are also amongst the main reason of the backwardness of the area. Mining work is extremely physically hard. Due to not having mechanical means, all the operations, i.e., coal extraction, loading and transportation, are done manually in most of the mines. A mine worker, Fazlur Rehman, 24, hailing to Mian Kilay, Shangla, told the writer that the work in the mining industry is very difficult as the work includes digging, drilling and blasting the mines of Coal situated in the Balochistan. “It is our ancestral profession and my father was also died due to gas suffocation in a mine 15 years ago. We dig thousands of feet below the ground and make a hollow tunnel in a mountain just for earn the livelihood for our family members but seldom the mine workers die due to gas suffocation or blasts, it is so terrifying”, He added. Ahmed Saleem, a senior researcher working with Sustainable Development Policy Institute (SDPI), revealed that the worst form of bonded labour exists in mining sector throughout the country, in a seminar based on his research work entitled “Bonded labour in mining sector in Pakistan” in Islamabad. He said most of the miners belong to Shangla, Dir, and other regions of Malakand Division. “Private mine owners send a middleman who uses different tactics to trap people of these regions, especially Shangla. Being a local, whenever he comes to the village, he carries a large amount of money and distributes it to potential workers. The total amount ranges from Rs. 15,000 to Rs. 25,000”, Saleem added. He said in case of a disaster, mine owners offered compensation ranging between Rs5, 000 to Rs10, 000 to the victim. Similarly, in death cases, owners are bound to pay Rs300, 000 to mine worker’s family, but mostly such cases go unreported and miners are buried without informing their kin, he added. He also revealed that many people live below poverty line and easily get trapped by accepting loans ranging between Rs20, 000 and Rs50, 000, which they can never repay and so they end up working in mines. The prevalence of diseases amongst mine workers is also very alarming. A Khyber Medical College’s research report on the mine workers of only District Shangla exposed that majority of the mine workers found to be the patient of Occupational diseases. Occupational diseases include Pneumoconiosis, Ashtma, Loss of hearing acuity, Dermatitis and TB, known as mine worker’s diseases. Pneumoconiosis is a lung disease resulting from chronic exposure to coal dust, its inhalation and deposition. Among major factors responsible for such a devastating condition included poor hygienic conditions, traditional mining practices, no availability of personal protective equipments and odd working hours for coal mining workers. The resulting figures on occupational accidents in the mining sector in Pakistan are very shocking. According to an estimate, more than 100 people lose their lives annually and a similar number are disabled averagely. Abdul Salam, a workers’s rights campaigner associated with Labour Education Foundation (LEF), told the writer that that thousands of the mine workers toil under life-threatening conditions. He added that inhuman child and bonded labour violations take place in the mining sector and many of the mine workers are registered as daily wages workers brought to a coal mine by the contractor. For protection of the rights and lives of mine workers, Salam emphasized the need to review and implement The 1923 Mine Act according to current needs which already contain provisions for the exclusion of children under 13-years, the grant of a weekly holiday and the limitation of weekly hours to 60 above ground and 54 below ground. (The writer is a journalsit and social researcher and worked on Labour issues extensively in the past while working with Labour Education Foundation (LEF) and Sustainable Development Policy Institute (SDPI). Pingback: Miners in Balochistan Miserable Despite Peoples’ Government « ALAIWAH!